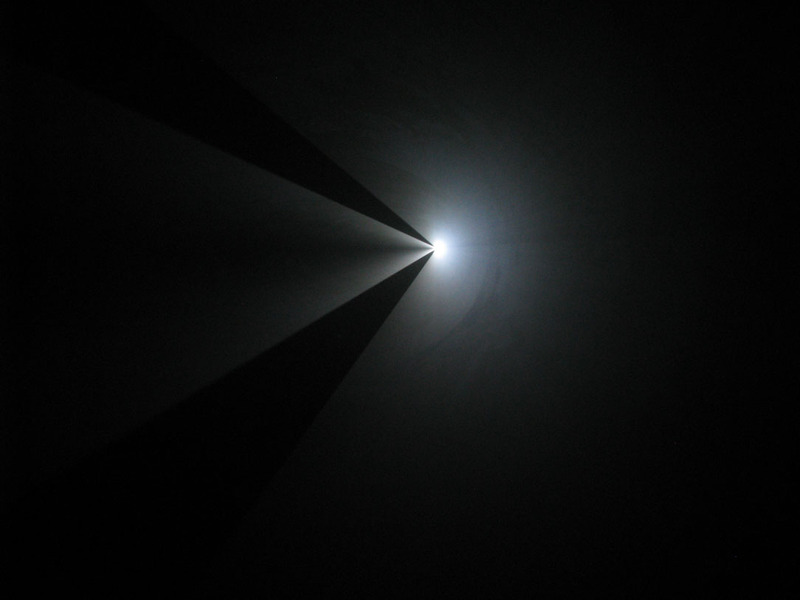 An exhibition of work by British-born artist Anthony McCall is currently being exhibited at both the Sean Kelly Gallery in New York through January 30th, 2010 and Gallery Thomas Zander in Koln, Germany through February 20th, 2010. Entitled ‘Leaving (with Two-minute Silence),’ McCall’s new work of ‘solid light’ presentations are comprised of digital videos of carefully choreographed, intersecting lines and curves. 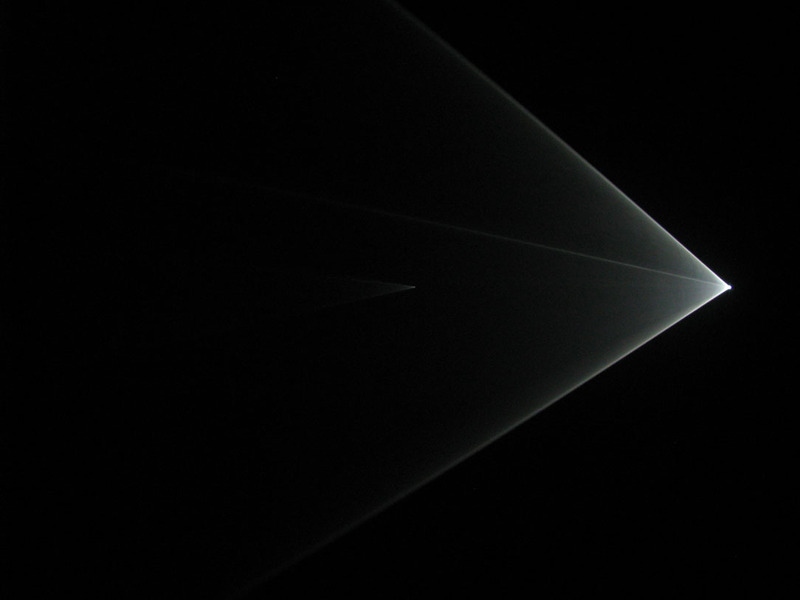 The collections of intersecting shapes are projected in dark, haze-filled rooms and result in three-dimensional forms, constructed purely from light. 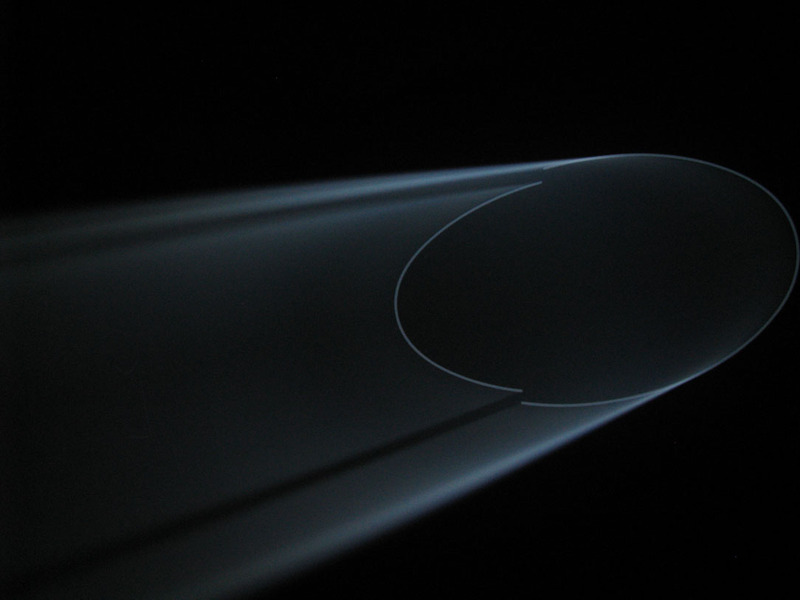 The exhibition is interactive, and as the viewers move in and out of the projected light beams, they must reconcile their perceived sense of fixed, three dimensional objects with the actual mutable properties that light possesses. McCall’s work emphasizes the sculptural qualities of beams of light. 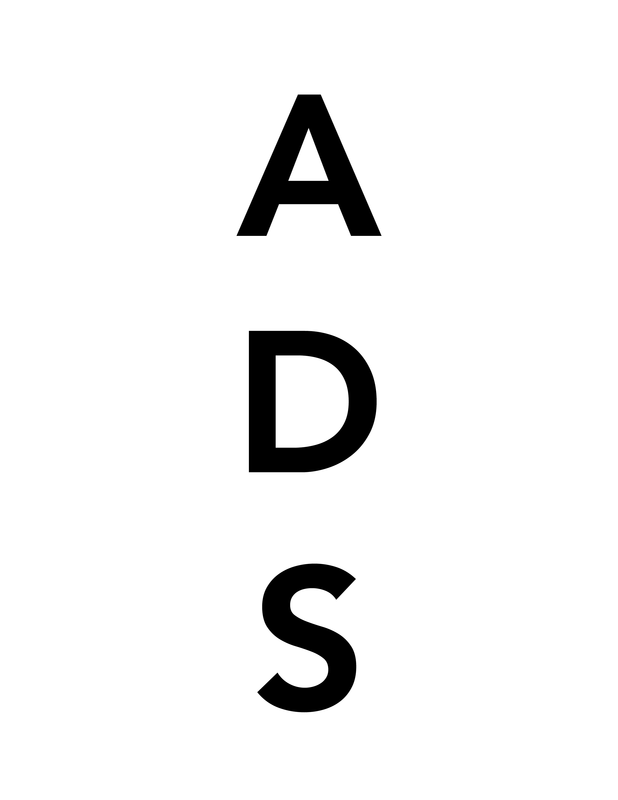 The exhibition is Kelly’s first show in thirty years to incorporate a sound component, which was produced in collaboration with musician and composer, David Grubbs. 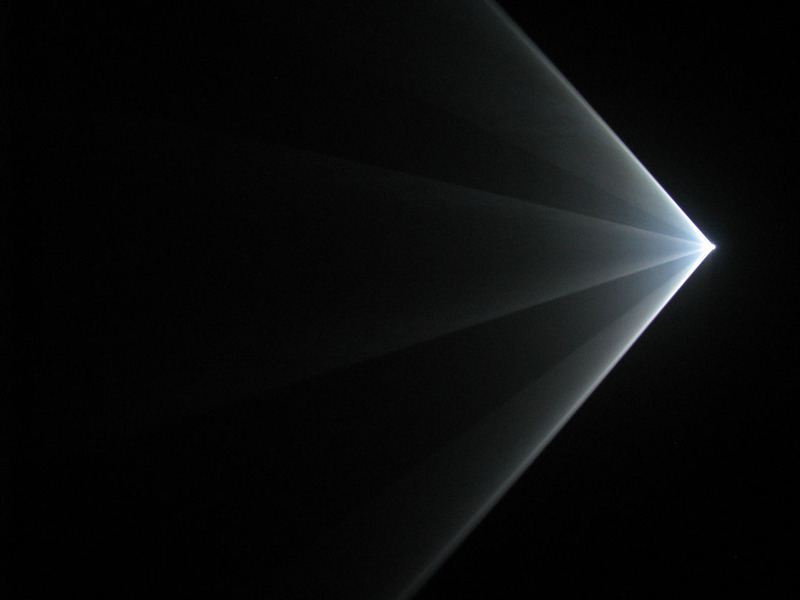 The show itself is comprised of two projected beams that are spatially parallel to each other. The first form begins as an ellipse, and is systematically cut away until nothing remains. The second form works in the reverse direction– beginning as nothing, and systematically building into a complete ellipse. The projected beams have been described as resembling holographs in the form of cones. McCall’s light beams are accompanied by sounds of traffic and the harbor, placing the viewer in a glowing enclosure with unique sensory experiences. Accompanying the growing and dispersing beams is the audible sound element, which is built from two opposing sound-spaces. The sounds incorporate noises of ‘city traffic’ from one side of the space, and ‘liquid sounds of a city harbor’ from the other. 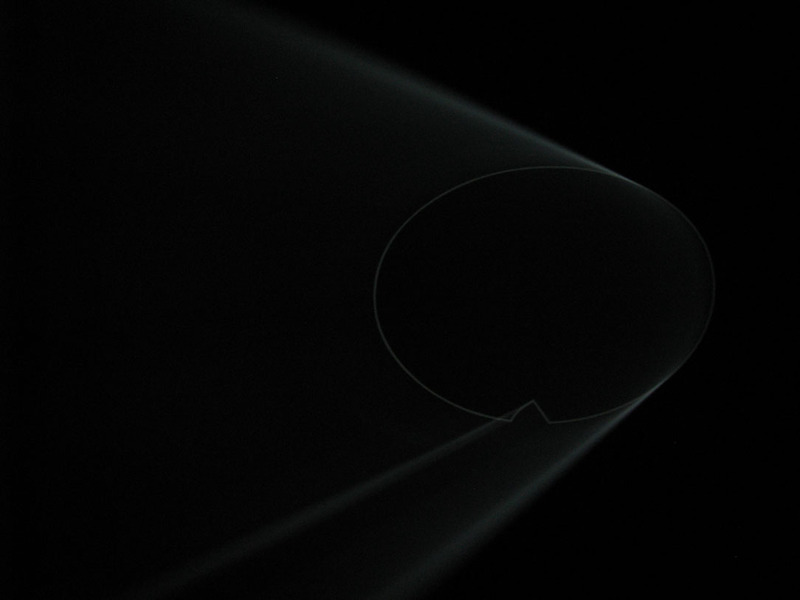 During each cycle, the sound vanishes and the light motions freeze for a moment, producing a kind of transient period of silence, ‘when time stands still.’ Alongside McCall’s new work will be numerous working drawings for several public projects, including a drawing for the 2012 Olympic Games Commission in Liverpool, which was recently awarded to McCall. 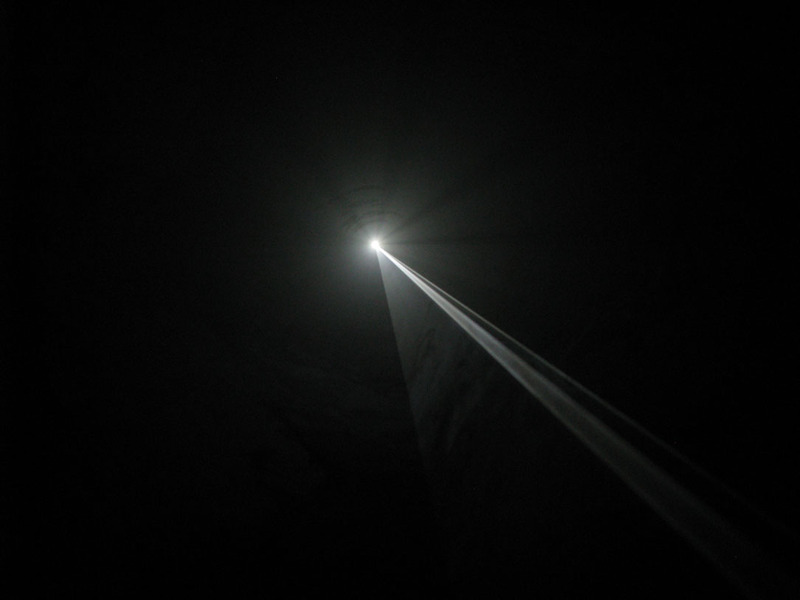 Anthony McCall, who specializes in cinema and projected film, developed his ‘solid light’ film series that explore the sculptural qualities of light beams after moving to New York in the 1970’s. His work is included in many major public collections around the world, including the Tate Gallery in London, the Museum of Modern Art in New York, the Musee Nationale du Art Moderne, Centre Georges Pompidou in Paris, the Whitney Museum of Art in New York, the Museu d’Art Contemporani de Barcelona, and the Museum fur Moderne Kunst in Frankfurt. All images are property of Art Observed, unless otherwise noted. This entry was posted on Monday, February 1st, 2010 at 12:16 am	and is filed under AO On Site. You can follow any responses to this entry through the RSS 2.0 feed. You can leave a response, or trackback from your own site.